Sea Point Homes are located in the coastal community of Del Mar, California. 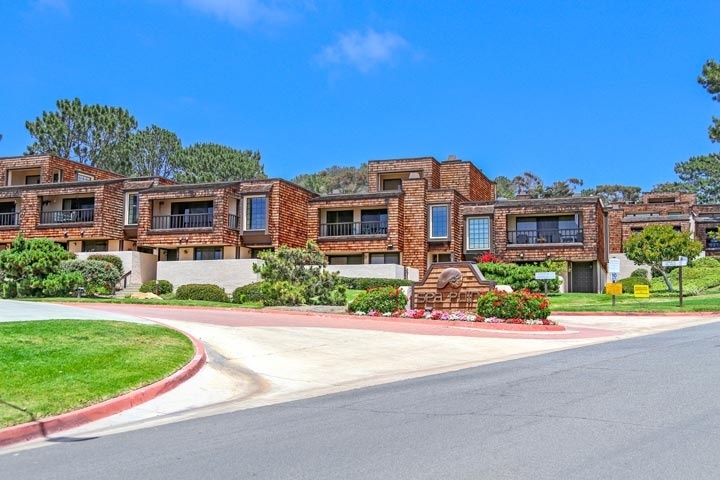 Sea Point is beach close condo complex near a four acre park preserve area and the Torrey Pines State Beach. This is a prime location within walking distance to the beach on the south end of town. These are attached condos that have a variety of two to four bedrooms that range in size from 1,426 to 2,284 square feet. From this location it's an easy drive to the village area of Del Mar with easy freeway access. Select units in this complex will have panoramic views of the ocean. The Sea Point community is under a homeowners association with monthly dues that average $375.000 a month and includes use of the 2 community pools, 2 spas, a community clubhouse and lighted tennis courts. The association provides an on-site manager with night time security as well. Below are all of the current available Sea Point Homes for sale and for lease in Del Mar. If you are looking for a Sea Point rental home for lease, please visit our Del Mar Rentals page. Questions regarding this community and any of the home listed here? Please contact us at 888-990-7111 today.